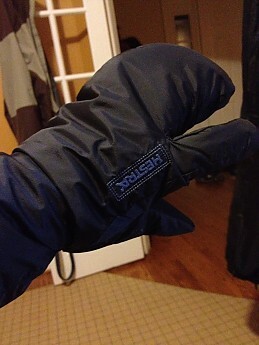 These are my backup winter hiking mitt/gloves. I really like the heavy-duty feel of these, the lobster design, and some of the thoughtful features. On the downside, the inserts that arrived with these were average, I cut some of the excess straps off because their functionality was iffy, and the leather palms need a little more than usual care. The basic functions — warmth, wind/water resistance, and in particular the deep winter replacement inserts, make these a nice and functional choice for winter. As you can see from the number of pros and cons, I have a complicated relationship with these mitt/gloves. In some ways brilliant, in others funky and a tad annoying. The bottom line is that I really like them in cold weather up to a point, and a few small changes could transform them from very good to outstanding. I refuse to winter hike without legitimate backup mitts and shells and picked these up on sale to serve as my backups a few years ago. Having the separate index finger intrigued me. White leather palms? interesting choice. I pretty much insist on having a fully removable insert, which these have, so i gave them a try. I still have the lobster shells and haven't given any thought to replacing them as the backup mitt. the thick wrist strap is gone. note they come with a little carabiner to clamp them together. nice, but you can feel the weight. 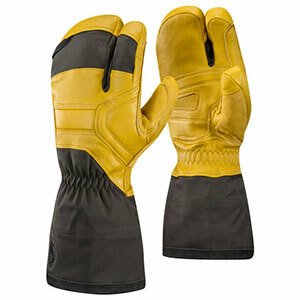 When they arrived, I immediately disliked the insulated and removable inserts, which were thick Quallofil gloves. They felt heavy and unwieldy and basically defeated the purpose of having the three small fingers together. Happily, Hestra sells a very nice Primaloft "expedition" lobster liner. For a few more dollars, a much, much better mitt. Hestra should sell these with the expedition liner rather than forcing you to buy it separately. Predictably, that isolated index finger tends to get a little colder than it might in full mittens, but that's only an issue in very cold, day-long sub zero weather for me. I also disliked a heavy webbing strap across the front of the wrist. while it was intended to tighten the mitts at the wrist, they felt clunky. I cut them off. 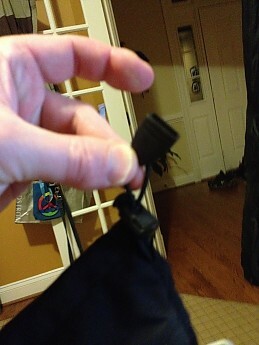 Also, the idiot leashes (the thing you wrap around your sleeve so you don't lose your mitts in the winter) are a thick elastic band that has a hard time getting around an insulated sleeve or a few layers. 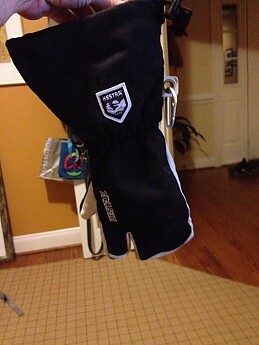 I cannibalized the leashes from my old REI shell mitts instead. The photo above shows the replacement Primaloft lobster insert. Takes these from 3 to 4 stars for me. There is a lot to like about these mitts. The waterproof/breathable shells (made with an entrant membrane) are plenty durable and keep the wind out. Because I use them in cold weather, I have not tested whether they are truly waterproof. However, when i turned them inside out, I noted that all the seams are unsealed. You would have to seal it with seam grip or the equivalent to consider them truly waterproof. No matter. They do fine at blocking wind and snow, and those snazzy white leather palms are thick and soft. 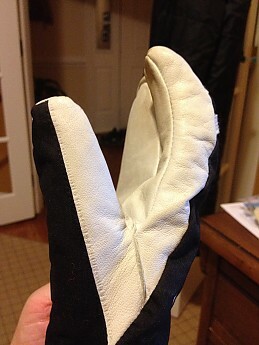 Worth noting that the mitts arrived with some leather dressing that is useful/necessary to keep the leather soft. I love the elastics on the gauntlet because they have a big plastic piece that makes them easy to pull with mitts on. 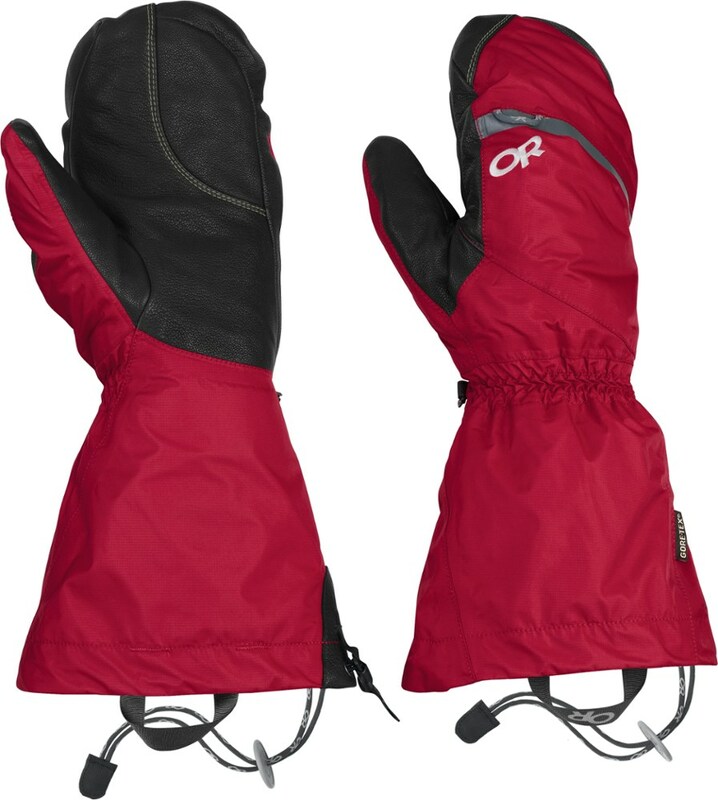 Very easy to clip these gloves together, they arrive with a mini carabiner. Also, the index finger of each shell has a loop of leather across the back of the finger—super easy to hang these puppies up to air out. Somewhat blurry, but this is the pull tab to tighten the gauntlets. Works really well. On the plus side, the index finger and palm is nicely curved. But why, Hestra, did you not do the the same for the thumb? An oversight that would be worth correcting in the future. The thumbs are warm but a tad less easy to manipulate. A nice shot that shows the articulated index finger and un-articulated thumb. As a backup, these have seen more limited action in really cold weather. Lately, I have tended to use the shells with liners removed, worn over glove liners, in marginal/wet weather. Because the seams aren't sealed, and because I'm not so diligent about treating the leather, the palms have gotten wet/damp from being out in a steady rain. 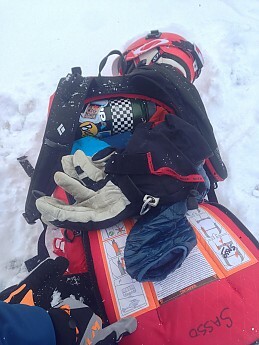 No waterproof liner protecting your palms; there are better choices for those borderline days when snow might turn into sleet or freezing rain. These are mostly too warm for where I currently live, but they are great for winters in the Northeast. Though they are intended to be a ski glove, I haven't used them for that, just for hiking in the winter. And except for one particularly freezing day when my index finger felt a little nippy, I readily swap these for my warmer outdoor research mitts for 'average' 10-20 degree days. If you expect consistent sub-zero weather, though, the isolated index finger might suffer, and you might prefer a pure mitten. Ideally, Hestra would fix the thumb, lose the wrist straps, sell them with more usable leashes, and give buyers the option of purchasing with the expedition liner....all easily fixed or modified, but they would have earned an extra star from me if I hadn't had to invest the extra time and money. Nice review, Andrew. 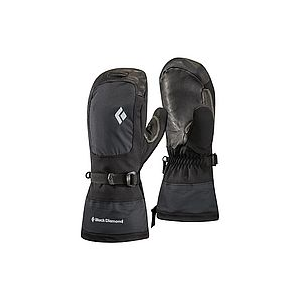 I'm almost done with a review on Pearl Izumi's Lobster Gloves, but these look to be a much better product. I like that just the forefinger is split. PI's mitt has the Vulcan peace sign going on. Nice review, Andrew. I'm intrigued by lobster design gloves. My favourite gloves for a variety of activities. I've had these gloves for a year and they are the best. I should point out that I am a guy who runs either very hot when I'm moving, then I cool down quickly. I get sweaty hands, and generally unless I am moving lot's they are cold. I can't wear gloves that are waterproof as they tend to get sweaty then cold. 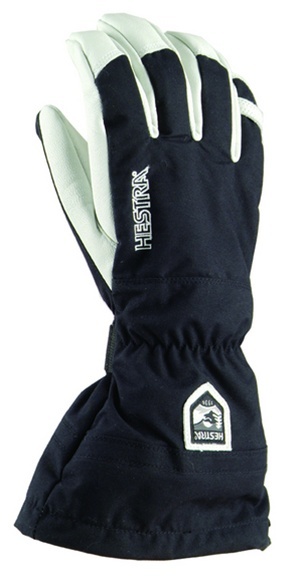 I've used these resort skiing, backcountry skiing, ski mountaineering, ice climbing as belay mitts, and mountaineering. 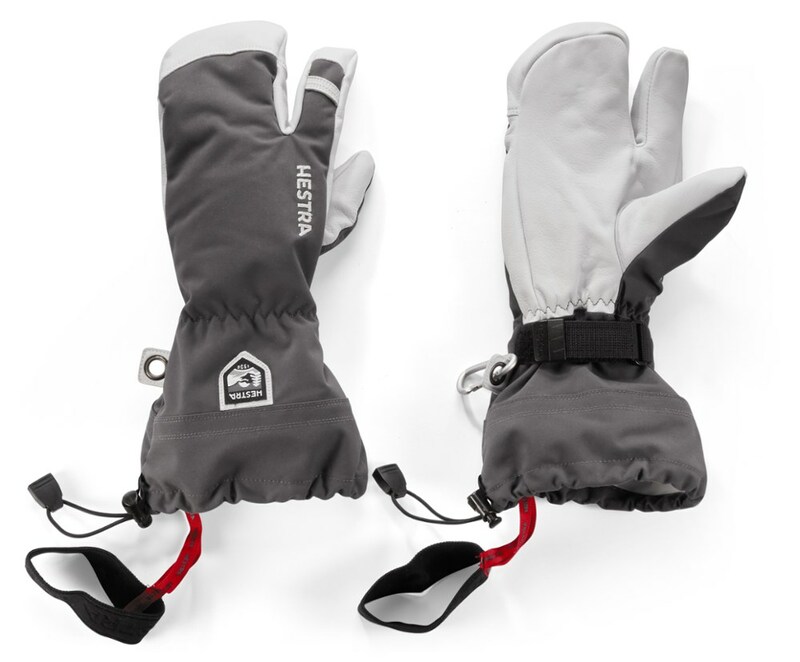 The Heli 3-Finger Mits are warm, though admittedly they could be warmer. Still except for cold cold days I have never had a problem. The fact I can change liners is a big deal for me as I like swapping a thin liner glove in on spring days, or if it's cooler touring conditions. 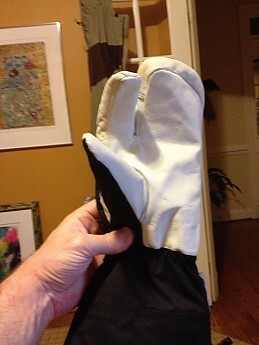 Because these don't have a membrane on the palm they are incredible breathable. I don't really have a problem with them getting sweaty like other gloves. The waterproofing does have to be replied, but considering that the exterior fabric is waterproof in wet conditions I find they are far better than "waterproof" gloves I've had in the past. The dexterity on these improved dramatically after a year of use. Hestras are famous for the way the leather breaks into the shape of your hand and these where no different. I've even climbed ice on cold days in these. I can move operate finite things like carabiners just fine. Overall I think these are the best gloves on the market. Welcome to Trailspace, Tim. 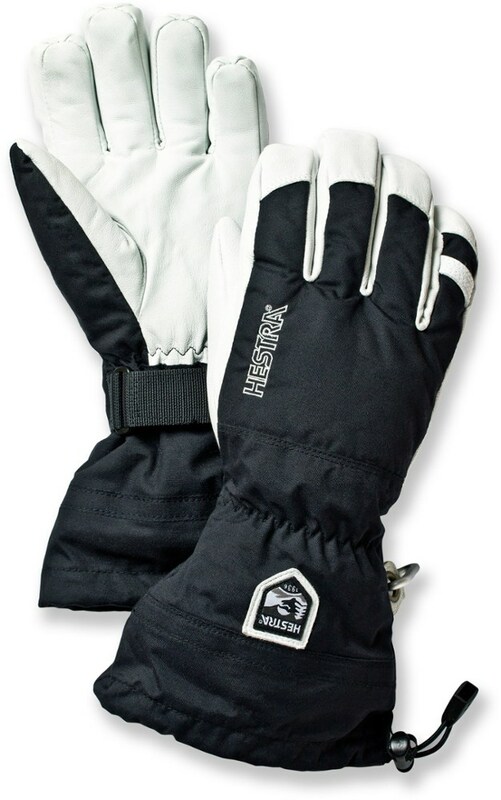 Can you tell us more about your Hestra gloves (how and where you use them, how warm, any interesting features, and such)? Thanks!